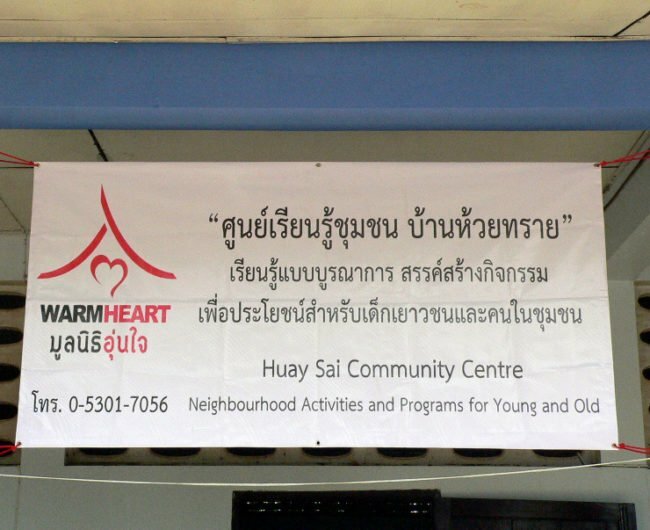 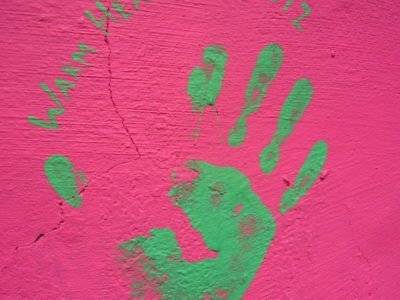 Warm Heart Foundation (WHF) is a Thai non-profit organisation and supports, among other things, community projects that promote access to basic health services and education in Phrao, northern Thailand. 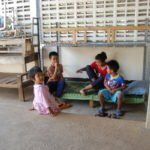 People with physical disabilities and senior citizens in Phrao and in many rural regions of Thailand often live in isolation and lack access to basic medical services. 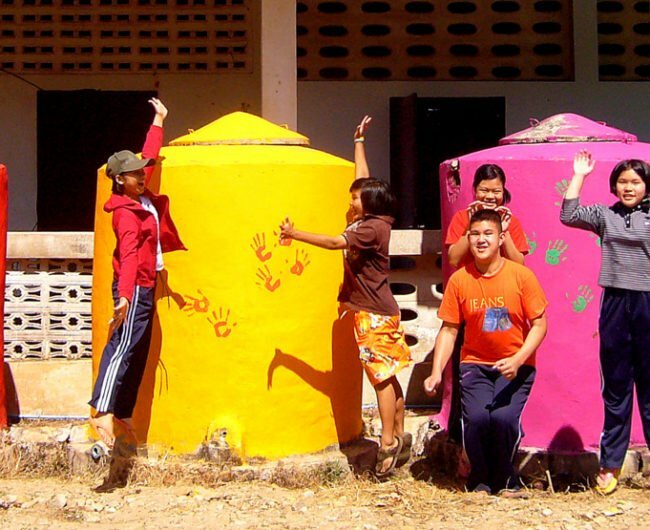 Moreover, rural populations often do not have the resources to help the disabled participate in society. 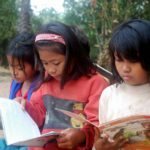 This results in many of them spending a lot of time on their own. 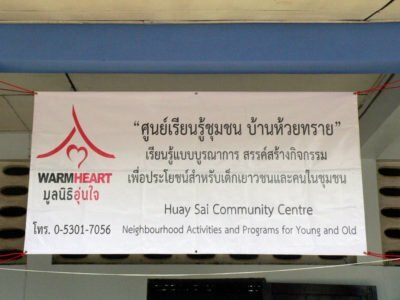 To address this, WHF wanted to establish a community centre where the disabled and senior citizens could receive the much-needed attention, physical therapy and medical check-ups. 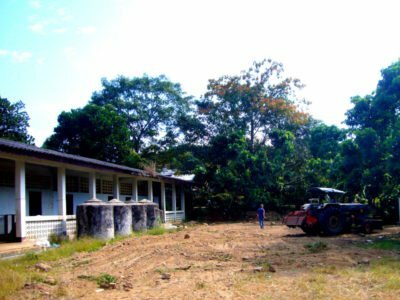 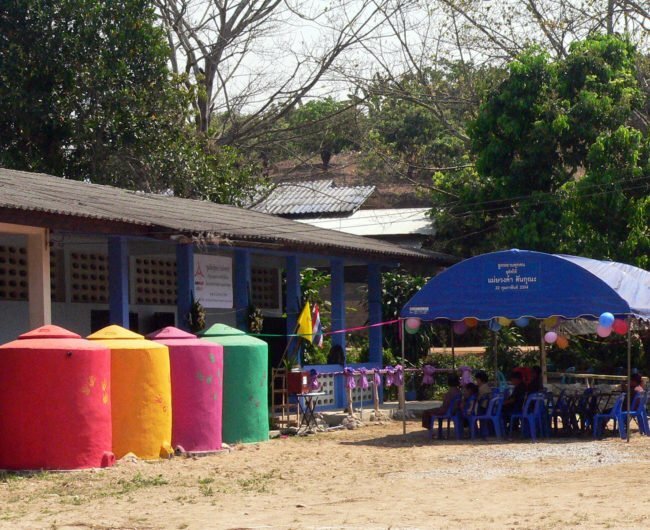 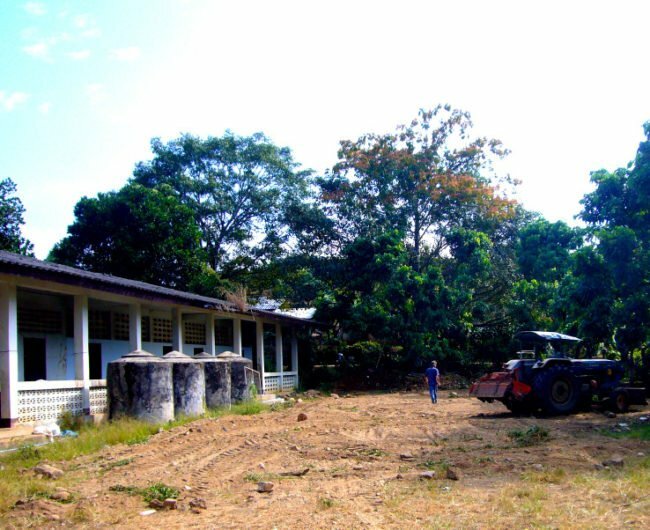 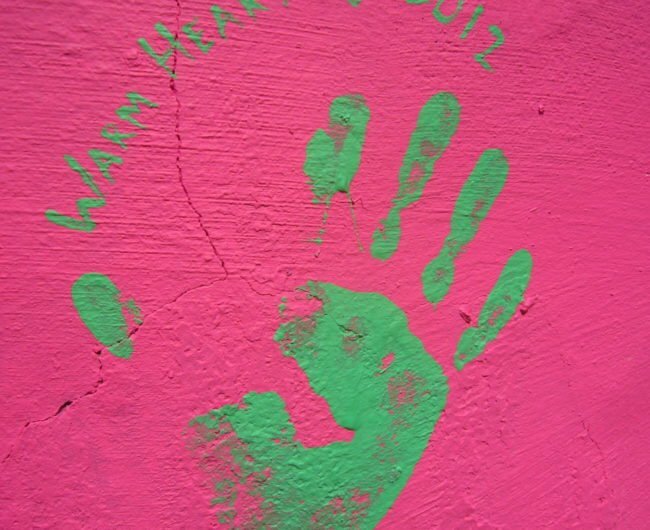 In 2011, Philanthropy Connections found a sponsor to fund the renovation of two rooms and the bathrooms of an old school building into a community centre in the village of Huay Sai. 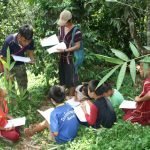 The Warm Heart Foundation initiates projects that focus on improving the quality of life of people living in Phrao, one of the poorest districts in northern Thailand. 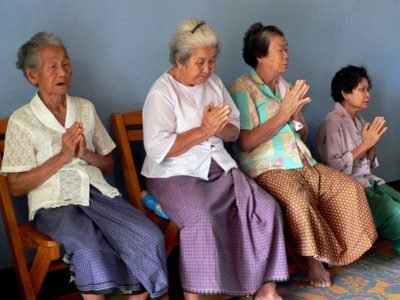 In Thailand there are 1.9 million  people living with disabilities and the elderly dependency ratio is 14.6% of the population . 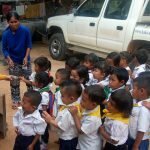 In rural areas there is a lack of access to basic medical services and educational opportunities when compared to the major cities in Thailand. 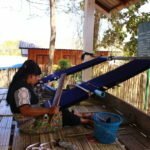 Moreover people living in rural regions earn minimal wage and work long hours. 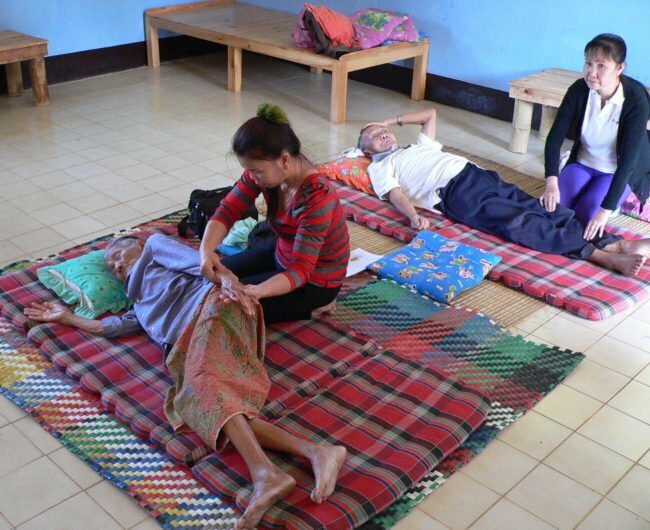 As a result, many disabled people and senior citizens are home-bound for most of the day without family members to take care of them. 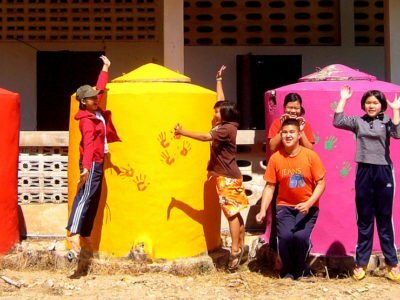 They also lack medical care and opportunities to participate in society. 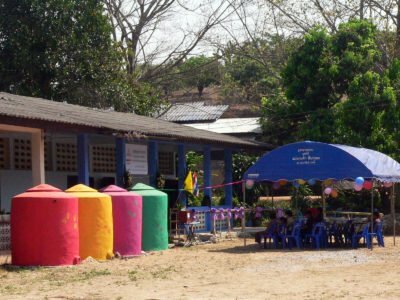 WHF approached us for the funding of turning an old school building into a community centre to address these issues in Phrao district. 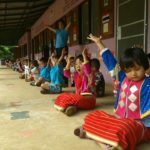 Thanks to a generous donation from our sponsors Roger and Vivid Lee, along with additional funds raised by WHF, two rooms in an old school building in the village of Huay Sai were renovated and a community centre was established. 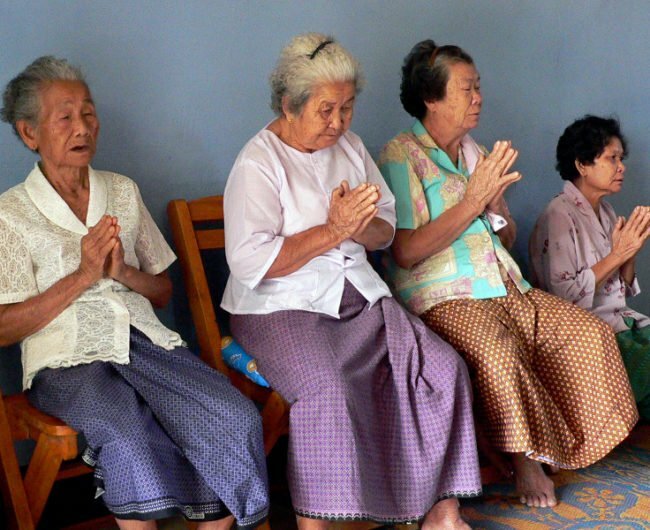 Senior citizens and community members with disabilities now have the opportunity to watch movies together, participate in educational programmes, sport activities, an outreach programme, as well as access to the medical care and therapeutic massages they require.